Twice, in quick succession, I've written blog posts about the developing fraud detection capacity in U.S. Citizenship and Immigration Services (USCIS). The first time was to speak approvingly of the growing Fraud Detection and National Security (FDNS) directorate in USCIS, while noting the irony that it appears to be a recreation of the legacy INS, owing in no small part to the unwillingness of its sister agency, Immigration and Customs Enforcement (ICE), to adequately respond to fraud referrals. The second time was to share with readers the concerns of a FDNS immigration officer serving in a field office who believes that all is not what it seems on the outside. That officer was responding to my initial post, and spoke with detailed knowledge that suggested credibility in citing shortcomings of the FDNS program — including that it is in large measure controlled by Service Center Operations (a different directorate), which is still pushing numbers and completions over qualitative fraud detection. [L]et me just confirm that not only is the field officer quoted in your article absolutely correct with regards to the lack of leadership in FDNS, the lack of leadership does not end in the Fraud Branch. Allow me to explain. Bottom line: FDNS under its current senior leadership does not care about fraud issues. ... I cannot ignore the utter lack of leadership, strategy, communication, technology, and resources that is displayed in FDNS currently. Lack of technology: FDNS utilizes an antiquated case management system that has no other functionality other than tabulating case hours and FDNS actions. It in no way provides benefits to field IOs [Immigration Officers] through data or link analysis, provides very superficial numerical data for reporting related to staffing, and is not connected to any other relevant DHS investigative databases. Additionally, adjudicators seldom have access to the FDNS database and would have no indication within the USCIS adjudications framework of FDNS interest in a case or subject. As a matter of fact, the FDNS database is not part of the normal screening protocol for USCIS adjudications. USCIS adjudicators would only be aware if a TECS [the electronic system used by ICE special agents, since superseded and renamed] entry was placed on the subject. To further complicate matters for USCIS, FDNS had the opportunity to gain access, while limited, but access nonetheless, to the HSI [Homeland Security Investigations division of ICE] case management system, free of charge, in exchange for reworking an information sharing MOA [Memorandum of Agreement] related to data that was already being shared. FDNS declined and delivered a different analytical tool, which was promptly decommissioned after 90 days. Currently, FDNS IOs perform multiple queries in various databases and compile and analyze all information manually, which is inefficient, cumbersome, and time consuming. And this is just related to fraud investigations. If I delve into screening I would say there is no standardized methodology in place, no enterprise-wide technological solution, and the current methodology is, again, cumbersome, duplicative, and inefficient. Back to fraud issues. ... There is little, if any, fraud-related training as compared to the old IOBTC [Immigration Officer Basic Training Course] courses. The course consists of instructions related to logging hours into the FDNS case management system, explanation of some policies (mainly NS [National Security] policies) and a couple of practical interview exercises. No law training, no legal evidentiary threshold training, no admin subpoena training, and no case studies on precedent decisions. 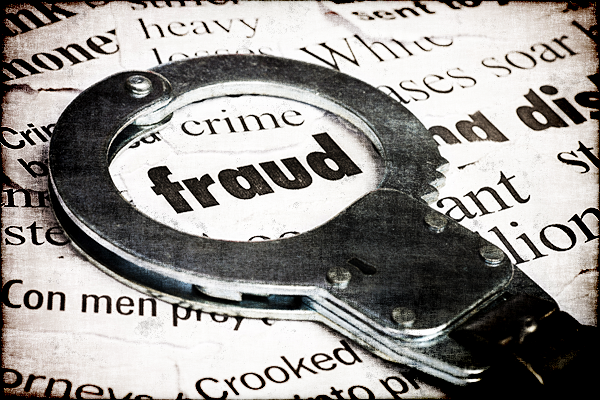 As a matter of fact, one of the topics of discussion at the last FDNS senior leadership conference was regarding what the "definition of fraud is". Really? Lastly I'll comment on resources. [Fraud Units of about a dozen IOs operate] in service centers that employ hundreds of adjudicators and handle all of the fraud [with] no analysts, no intelligence research specialists, and no budget. We have limited superficial communication with HQ FDNS and are only told repeatedly what the "numbers have to look like". FDNS has no strategic plan, at least none that has been shared with field leadership. ... [S]ince 2015, FDNS HQ lost EVERY Branch Chief to other positions. These are talented individuals from a variety of backgrounds who had a passion for their trade. But at the end of the day they recognized that FDNS, at the HQ leadership level, is a ship without a rudder. There is little more to be said. It would appear to an outsider that the nascent fraud detection program is at a critical threshold, and USCIS should be confronting the harsh fact that the agency has a professional cadre of dedicated but dispirited officers who need to see that their efforts count for something, and are not just window dressing. This is a prime opportunity for the new leaders installed in USCIS under the Trump administration to show to all line employees that their actions will match their words, and that immigration benefits-handling responsibilities, whether relating to adjudications or fraud detection, are no longer just a numbers game, or all about "getting to yes".